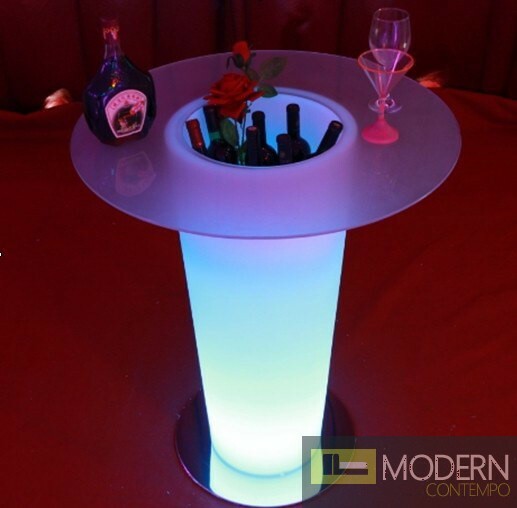 Luminique LED Bar Table furniture is perfect for any special events, bars, Lounges, night clubs, corporate events and idea for your home. This item is Waterproof and suitable for outdoor & indoor applications, events , parties as well as bar, club, hotel. This unit comes white high volume lithium battery that works in overcharge and discharge protection system mode. Our Ultra bright RGB LED module gives long lasting illumitating effect in 16 different changeable colors that brings soft, romantic or festive atmosphere. This unit can be operated by multi functional remote control. Ships in 10-16 weeks, Please plan ahead. 10. Battery Working time: 12 ~ 14 hours Charging time: 8 hours. Outdoor leisure place: Garden, park, pool, beach, tourist attractions, public ..